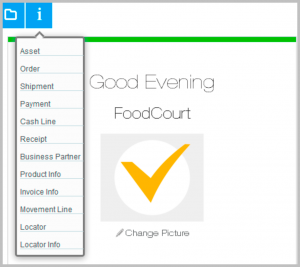 In this article we focus on the POS back-end system of our Retail & SCM Industry Template and give a short overview of the home screen components. So let’s start. 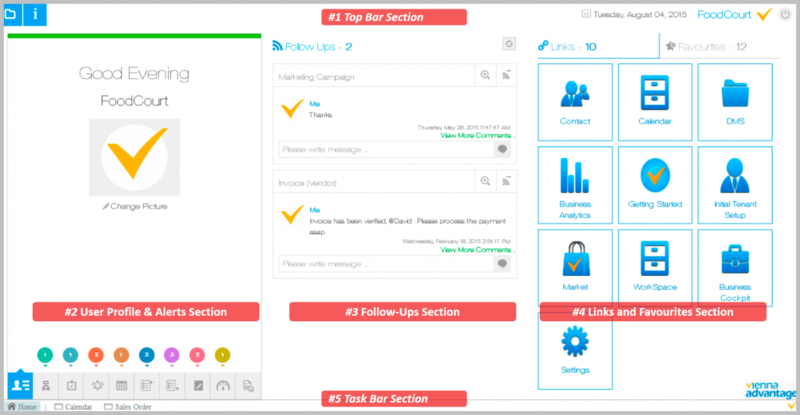 User Profile &Alerts Section: User Profile Details, Notifications and Alerts Section. 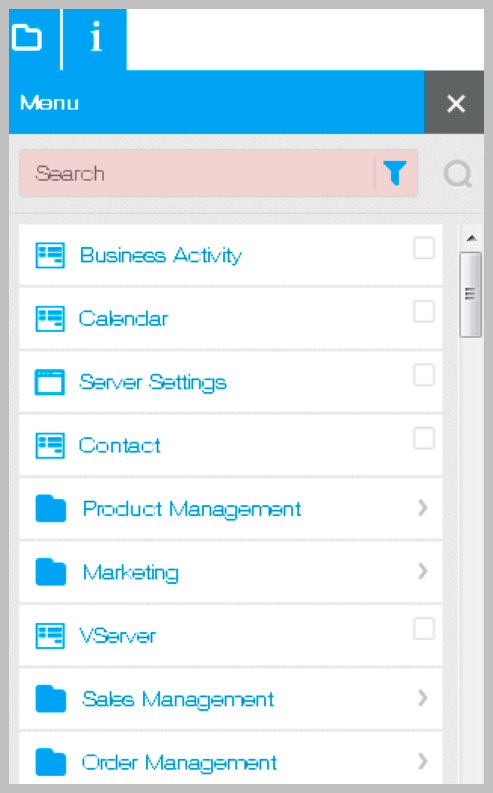 The user can select an application module using application menu, or can search for and access a component of VIENNA Advantage such as window or a report. See picture below. This menu provides users with a shortcuts from where he/she can directly search for information related to specific data entities without exiting the current work and by switching over to the required function. 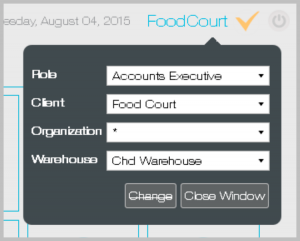 In this menu the user may change the role, client, organization and the warehouse under he/she has logged in. 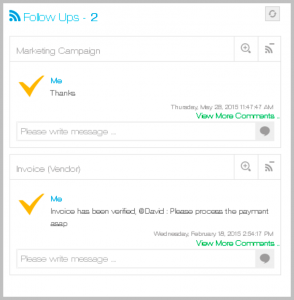 This Section provides details about the User, various Notifications and Alerts. The user can change its profile picture by clicking on the Change Picture link. User profile is a record of user-specific details like User ID, Role, Tenant, Organization, Warehouse etc. Click on the picture below to enlarge it. This section is designed to deliver to the user the most common notifications. In this way the system improves both the user’s and the company’s overall productivity. 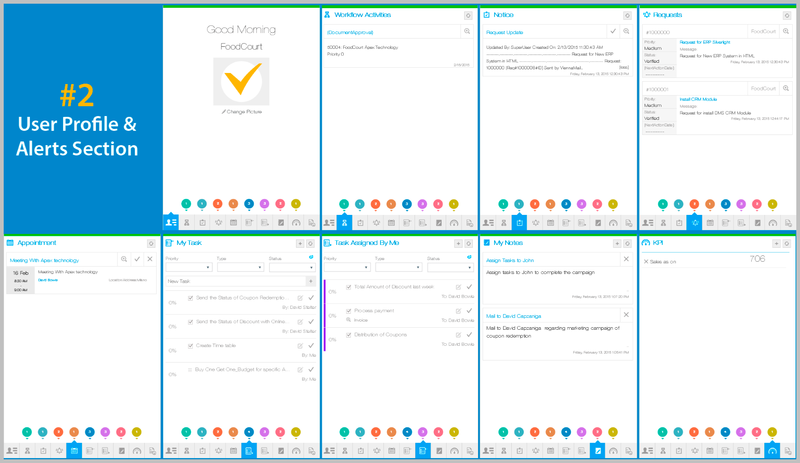 The following alerts can be found in this section: Workflow Activities, Notices, Requests, Appointments, My Tasks, Tasks Assigned by me, My notes, KPIs, and Documents. Each time a new alert is placed, it will notify the user with a pop-up bubble. Next section on the home page is the “Follow Ups Section”. This section keep users informed about transactions they have subscribed for. In order to work, the user should first subscribe to a particular transaction.Once subscribed, all messages in that transaction would be displayed in the Follow-Ups Section. Furthermore, the user can write its own message or unsubscribe from a message. For an easy access, some important window shortcuts are created under “Links section”on the home page. The user can access the windows directly by clicking on the icons. The System Administrator can re-configure the links as per the requirements of its organization. He/she can configure different links for different Roles and thereby, for different users, the icons appearing under Links may be different. Similarly, under “Favourites Section”, the user can configure the links that he/she uses most frequently. The user can personalize menus and create shortcuts to perform event-driven actions and gain access to other applications from a single screen. 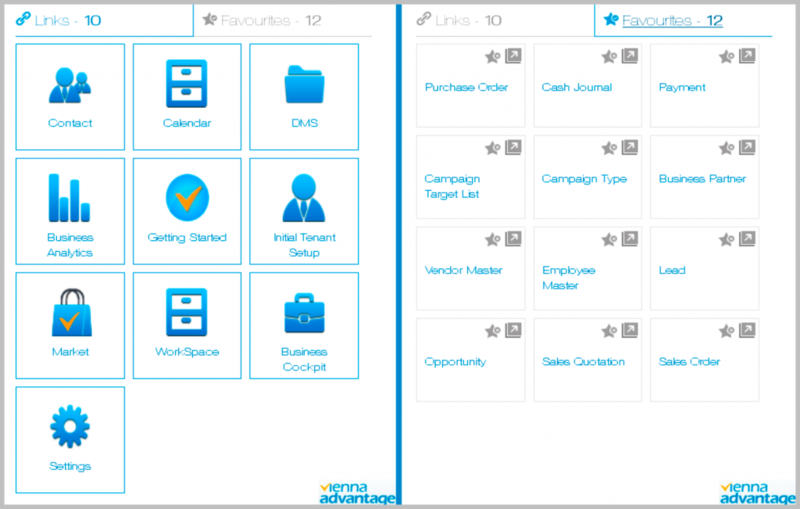 Users other than System Administration can also define and configure the Favourites Menu. “In the Task Bar Section” user can see all programs which are currently running in the system. The system displays the names of programs.The user can switch to any of the currently running programs by clicking on the appropriate bar. This is a very user friendly feature that allows user to open multiple objects at a same time. This facilitates navigation as you may comfortably navigate from one window to another without going through Home Page, displaying Menu, selecting a Menu Item and then navigating to it. For example, in the following case, you can switch from Sales Quotation to Calendar or Home.